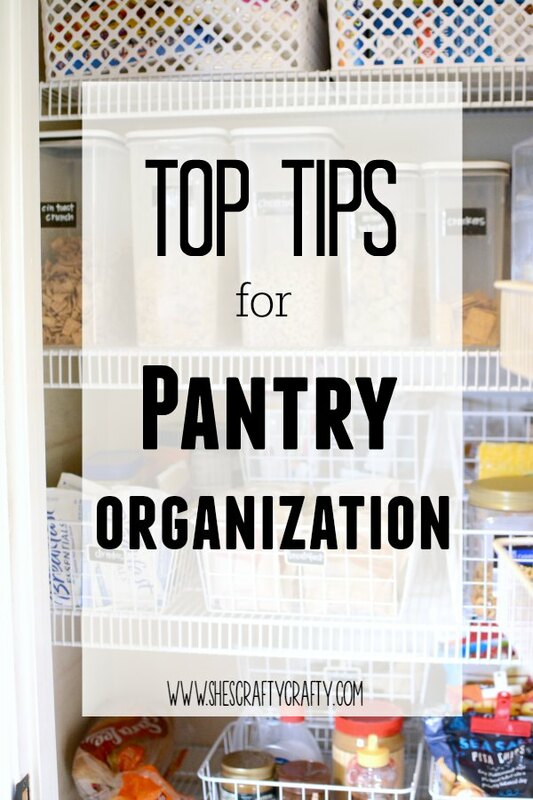 Today I'm sharing my top tips for organizing your pantry! The pantry in my home can get so messy! It's one of the hardest working places in our whole house. Without some organizing, it is total chaos! 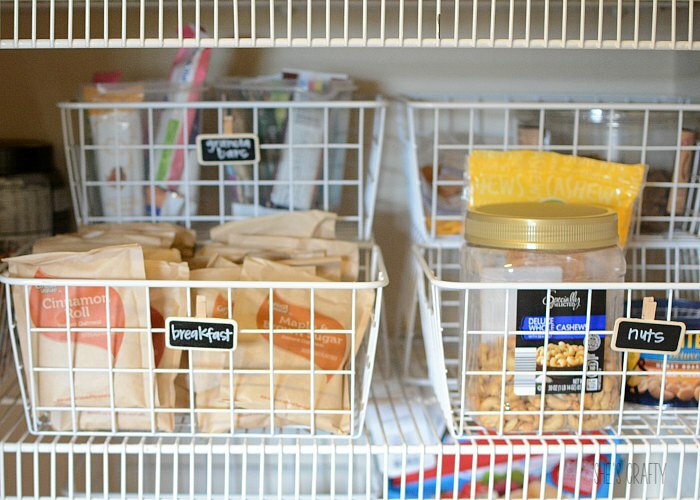 With a few simple tips, my pantry stays (mostly) organized and yours can too! 1. 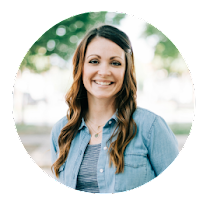 Go through your pantry and figure out what is and what is not working. This is what our pantry looked like BEFORE. I did a post about it here. The red bins were not working any more because items were being buried at the bottom of them. None of our cereal containers matched. We had tons of bags and boxes hanging out all over the place. It was a mess! 2. Separate food into categories or zones. These are our most used foods and are kept at eye level for ease. 3. Put items into bins. 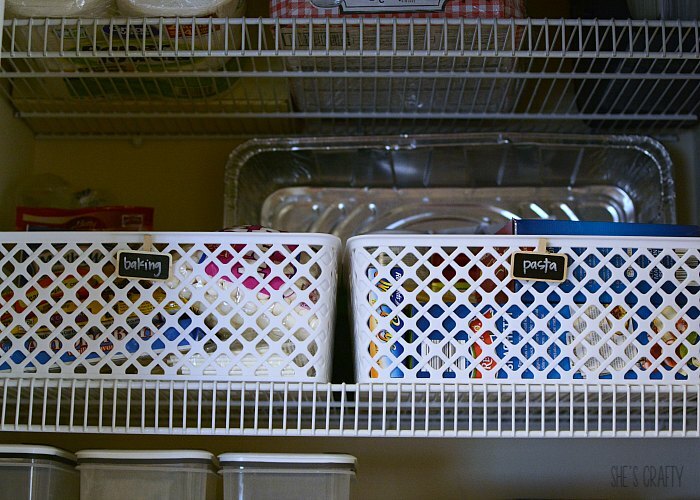 I added smaller, wire bins that I purchased at Walmart (similar here). I like that they are see thru so that we can tell what is in each bin. I labeled each bin with a chalkboard clothespin. In the back of each shelf, I turned bins upside down and sat another bin on top, right side up. 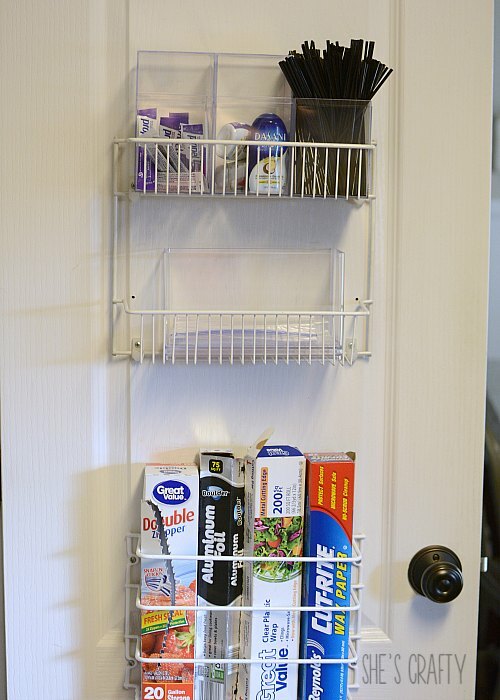 This gives the pantry a little more usable space to store things on the deep shelves. It makes the items easier to see as well. 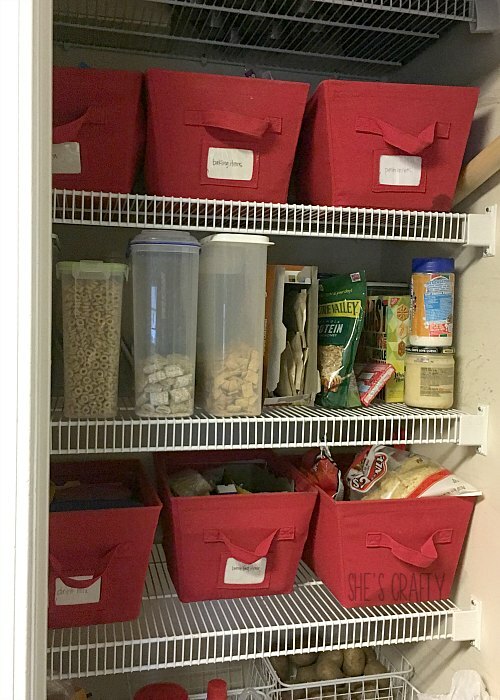 I used plastic 3-drawer storage units on wheels (similar here) at the bottom of the pantry. It give some much needed storage in a normally wasted space. I labeled the drawers so my family can tell what's in them. 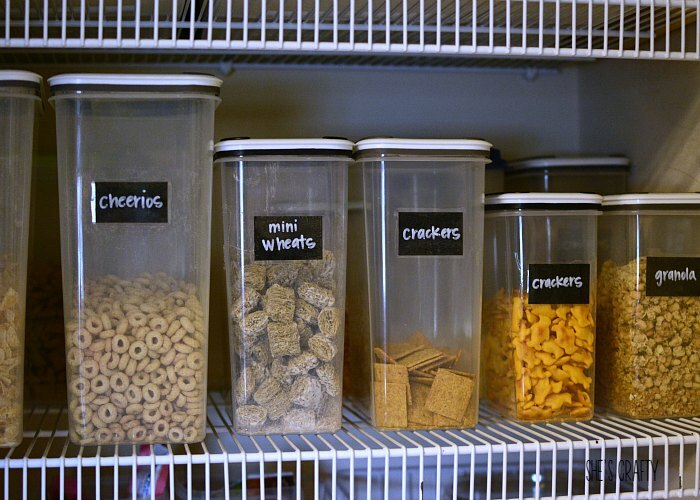 One thing that has made my pantry look so much better is having matching, labeled containers, instead of cereal and cracker boxes that never get closed properly. I take everything out of the boxes and packages and put them into clear matching containers. You can find matching containers at Walmart, TJ Maxx or Ross or get similar here. I labeled each container with faux chalkboard labels. 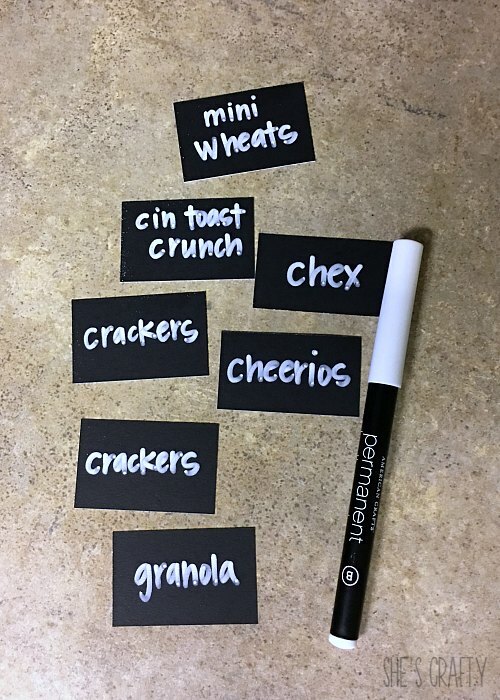 I cut black cardstock down to size (about 1.5"x 2.5") then wrote on them with a chalkboard marker. I used packing tape to attach the labels to the containers. 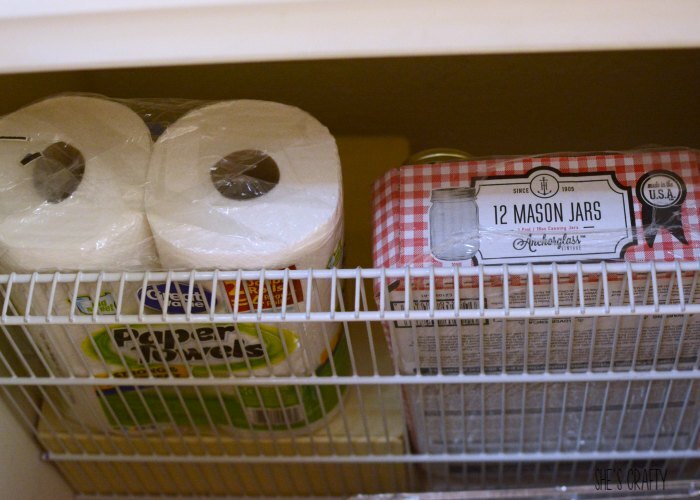 On the very stop shelf (so high up I have to use a step stool) I store mason jars and extra paper towels. I also store serving dishes that I don't use very often. 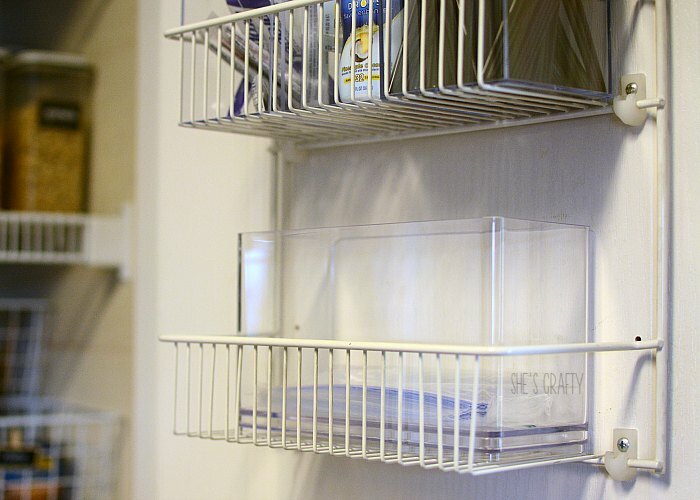 That high shelf is a good place to tuck away items that you don't need daily access to. It's kind of silly, but the container that holds my sandwich bags makes me so happy! I love not having to dig around in the box to get them out. With 3 kids that take lunch to school every day, we go through a ton of baggies, and this is the perfect way to store them. Thank you! 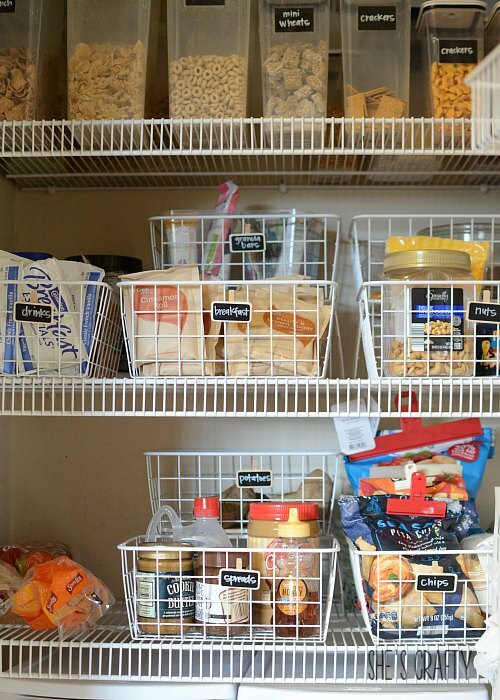 I organize my pantry a lot! It's amazing how quickly it gets messy! I love these. Gonna pin this the size of your pantry looks similar to the one in our new home. Thank you! 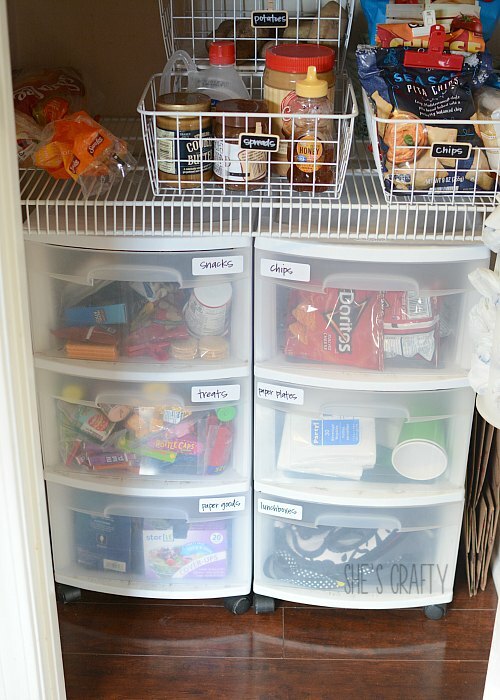 I hope the tips help in organizing your pantry!! Great tips. My pantry is a disaster right now. Thanks Kara! It's amazing how quickly they can get messy!! These are great tips! 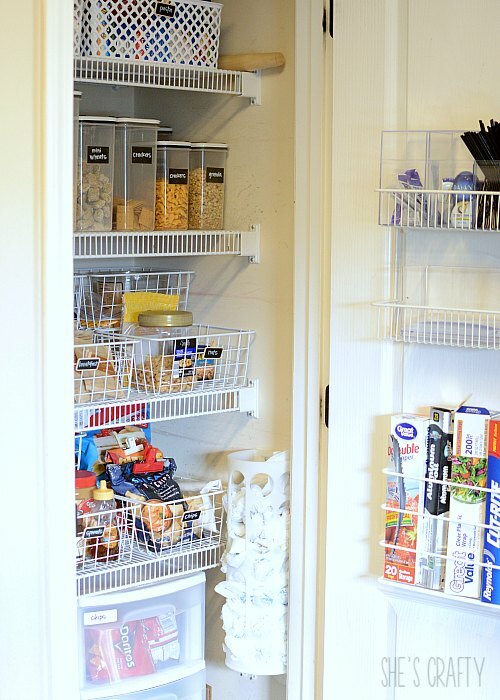 My pantry and I was a hot mess too so I'm definitely going to have to take these tips and put them to good use! Wow... I'm seriously impressed with your tidiness!! I was actually sorting through mine this morning because we just started shopping at Costco and I can't find space for all the giant boxes, lol! Thanks for the tips, very pretty! Thanks a bunch! It's a weekly battle to keep this tiny little room organized, but it helps so much to have a spot for everything! !